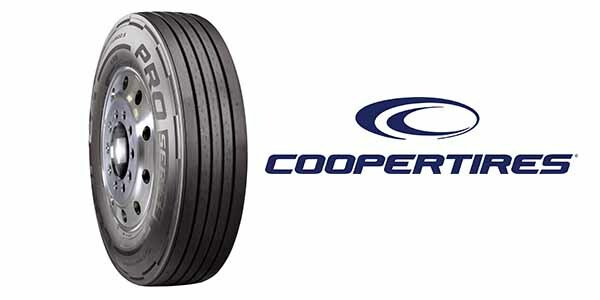 Cooper Tire has launched a new long haul steer (LHS) tire as part of its Cooper Pro Series Product line, joining the Cooper Pro Series long haul drive (LHD) tire introduced last year. The new steer tire will initially be available in size 295/75R22.5 with other sizes available in June. According to Cooper Tire, the Cooper Pro Series LHS was designed from the ground up to offer a lower cost of ownership through long miles to removal, fuel efficiency and design elements to help ensure uniform wear and retreadability. 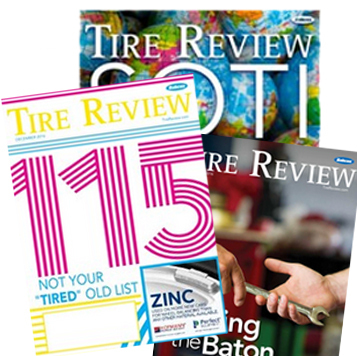 The new LHS tire features Cooper’s ECO (Energy Conservation Optimization) technology that combines tire design, compounding and construction to provide an ultra-low rolling resistance tire that exceeds SmartWay standard requirements by 15% and meets the EPA’s greenhouse gas (GHG) emissions requirements set for 2021. The Cooper Pro Series LHS provides 18/32nds of tread depth and features a wider footprint than most steer tires on the market – a full inch in many cases. To enhance even wear, the tire has a decoupling groove to minimize shoulder wear. A unique feature on Cooper’s new steer tire is a patent-pending stone ejector design with a stepped groove wall in the tread pattern. This feature helps prevent stone drilling to ensure the integrity of the casing for multiple retreads. Helping improve tire maintenance is Cooper’s “Wear Square” on the tire’s shoulder ribs. This is a visual indicator, which shows the tread depth through five different evolving image icons. A “square” shows full tread depth, while an “L” shape shows half the tread is left. An icon also shows when the tire should be pulled for retreading. Since the Wear Square is placed on both sides of the tire, it’s also an alignment indicator. If the icons don’t match, the tire technician knows there is an alignment problem or uneven tire issue so they can take corrective measures. The Cooper Pro Series LHS features four-belt steel design construction and an industry-leading seven-year, two-retread warranty. The tire is also warranted for full replacement value for the first 50 percent of treadwear.